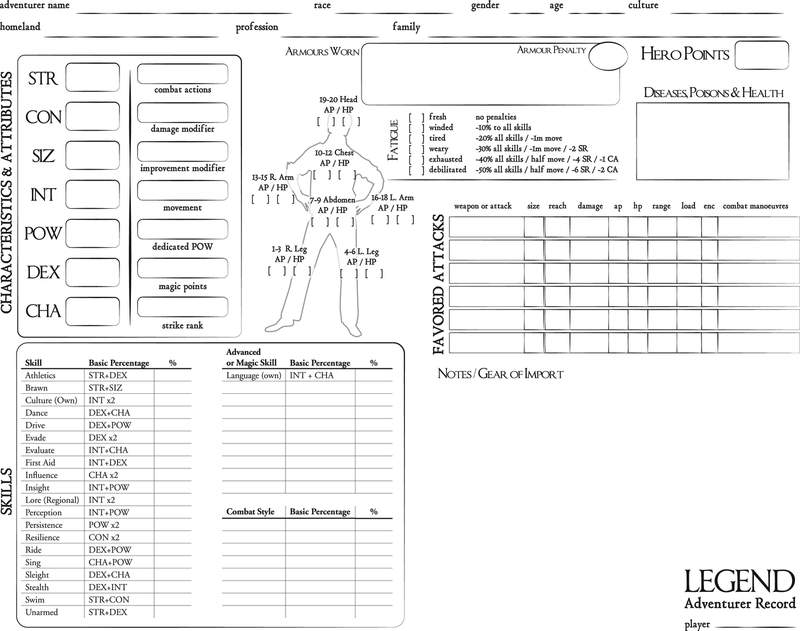 Mongoose Publishing has kindly released a PDF of the official character sheet for their Legend game. 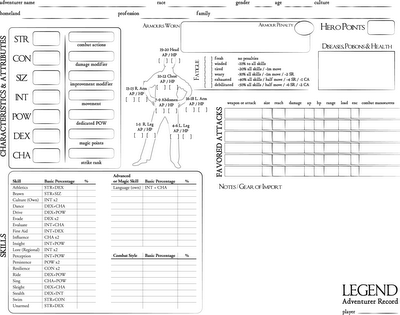 Great sheet, and I plan on using it, but as a tiny nitpick, the plural of Armour is Armour. You have it listed as Armour(s) Worn, when it should just be Armour Worn. Thanks for the heads up. When I get a few minutes free, I'll find the original file and fix that. I don't normally use the British style spelling, so I wasn't aware of the plural not needing an S.